← What Is Uninsured Motorist Coverage? Homeowners are often unsure of what options are available when they reach financial hardship and are faced with foreclosure. 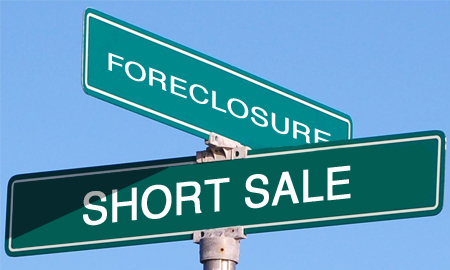 A short sale can be a helpful tool when trying to alleviate the burden of a looming foreclosure. A short sale is an agreement by a mortgage lender to sell property for an amount lower than the balance owed in order to relieve the buyer of the mortgage obligation. Depending on the negotiated amount of the sale and the timeliness of past mortgage payments, a short sale may help avoid the huge hit to your credit score that foreclosure causes. Additionally, short sale participants can later purchase a home in a shorter time than those who foreclose on their property. This entry was posted in Blog, Foreclosure Defense, Real Estate and tagged accident law firm, accident law firms, accident lawyer, bankruptcy law firm, blick law, blick law firm tampa, christian immigration lawyers, christian lawyers, florida law firm, foreclosure vs short sale, how to short sale, immigration lawyer, injury law firms, law firm in tampa, michael c blickensderfer, real estate lawyer, real estate short sale, short sale, short sale process, short sales, short sales vs foreclosure, tampa attorney, tampa law firm, what is a short sale, what is a short sale vs foreclosure, what is short sale. Bookmark the permalink.